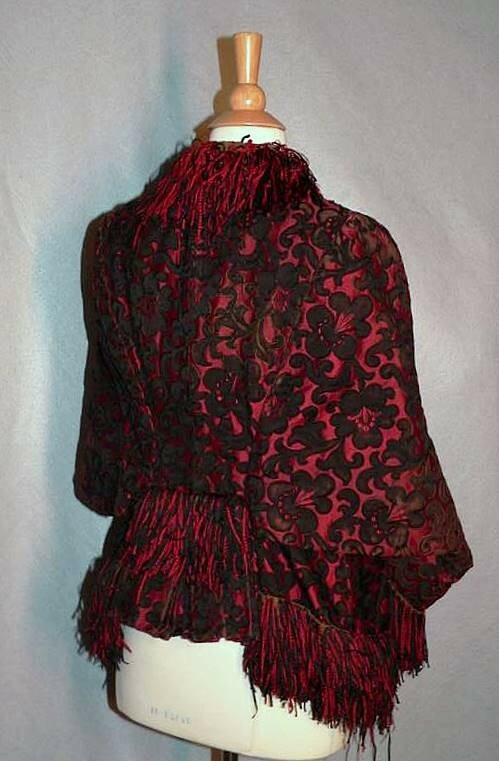 Antique 1880's Victorian capelet. 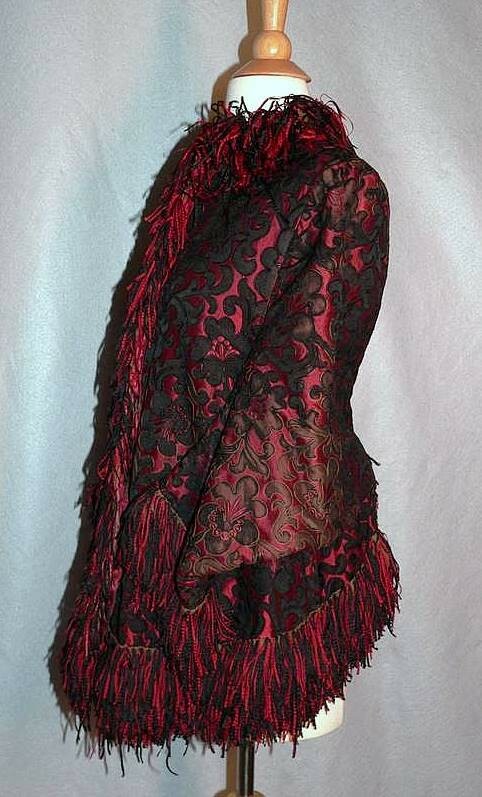 Beautiful deep red and black floral cape with a crimped silk fringe trim. A rare find as most of the capelets of this era are black. 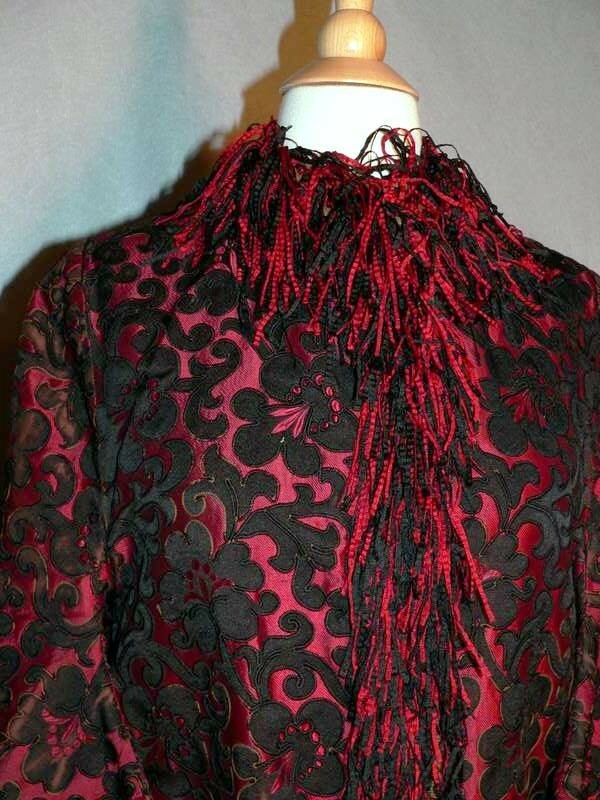 The fabric is fabulous, a slightly ribbed deep red topped with a black scrolled floral design. 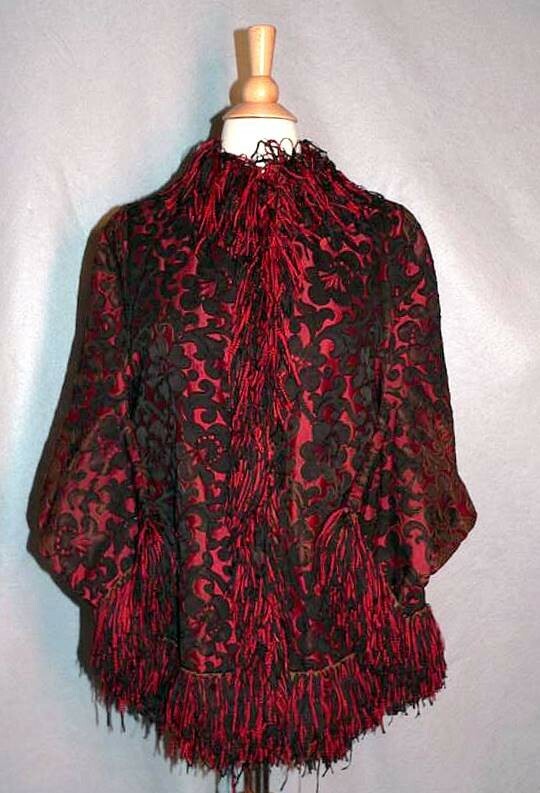 I believe the fabric is silk. The sleeves are sewn to be folded at the elbow and attached to the cape. There are fabric button front closures. 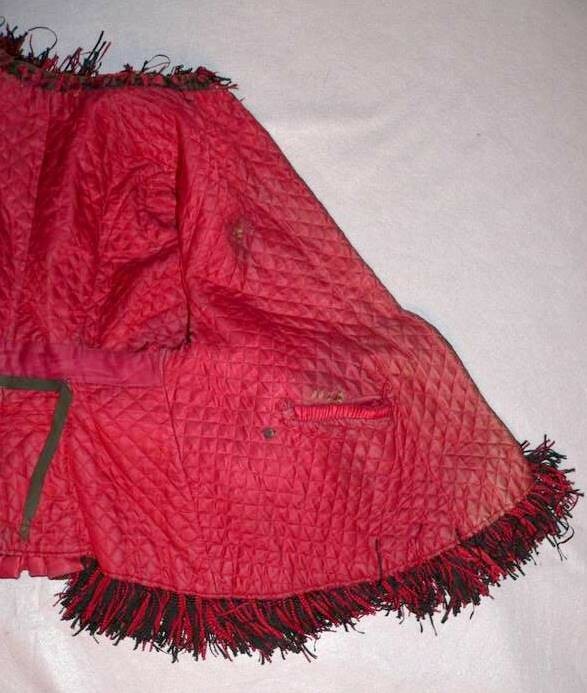 The entire edge of the cape is edged in the crimped red and black fringe. The fringe repeats at the cuff. 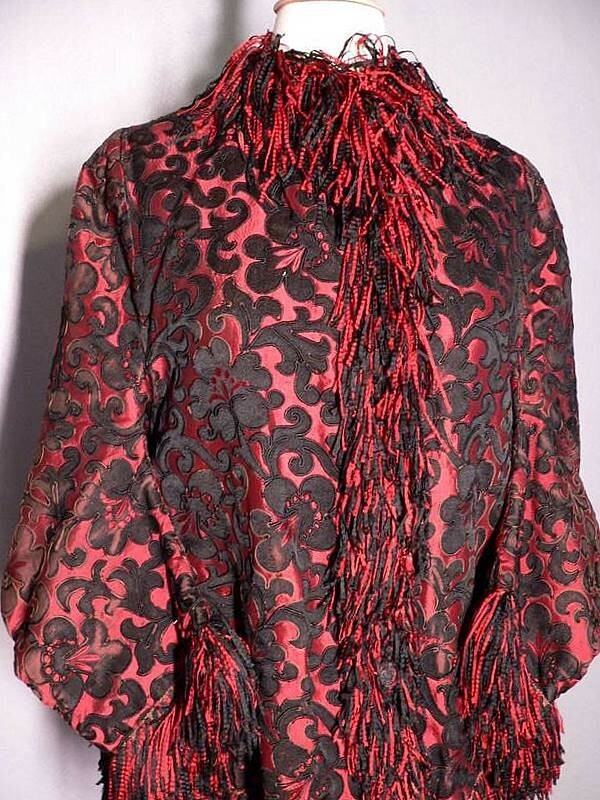 The black designs of the fabric are worn in some areas, particularly at the sleeves. The sheen of the black is worn making them a softer black. The edges of the black design are also worn in some areas leaving a caramel color chain stitch. (Please refer to the pictures) The center lower back of the cape is pleated, designed to accommodate a bustle from a gown. 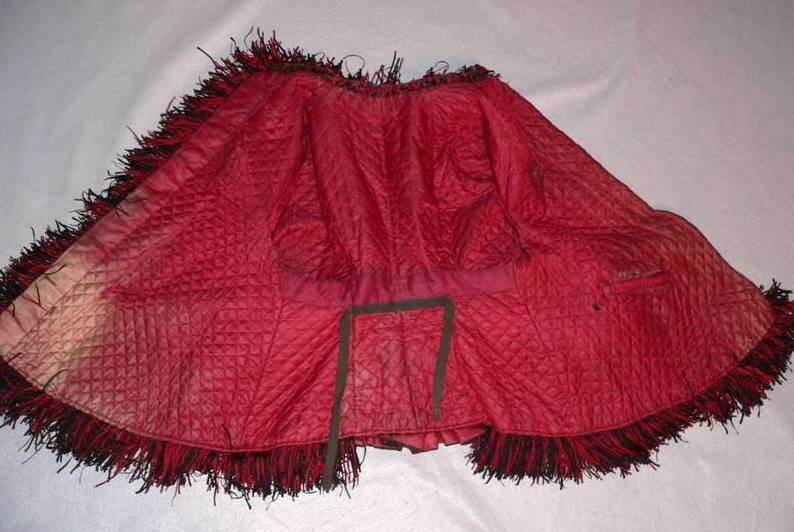 Lined in quilted deep red silk. There is an interior pocket. 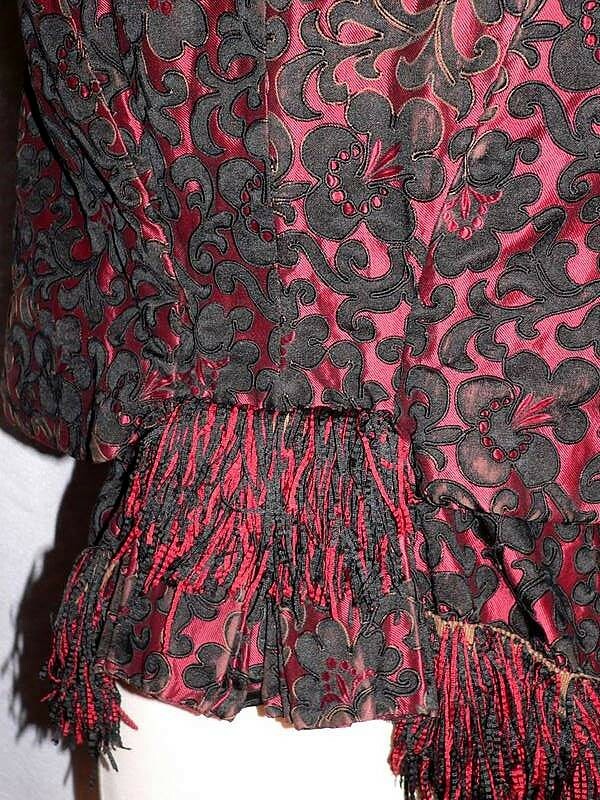 The pocket has a pleated silk top edge and two little bows at the top edges. CONDITION: Good. Actually in fabulous condition considering the age. There is wear to the interior as shown. Some areas of wear to the fabric as described. There are some holes in the lining, but none to the exterior. I see one stain which is next to a button and hidden when closed. Accessories shown are not included in the auction.